As you can see above, both subscription plans include a one-month free trial. The main difference between the £1.99 and the £9.99 monthly packages is that the priciest option gives access to The Daily Telegraph and Sunday Telegraph digital newspapers on the iPad. As for non-UK readers who choose not to subscribe to any plan, the number of articles they will be able to read each month will be limited to 20. In other words, the Telegraph’s strategy is very similar to the Independent’s, which introduced a similar meter for its non-UK readers one year ago. It’s important to note that this paywall doesn’t affect UK readers. In other words, the newspaper group seems to have shelved its long-rumored plans to introduce a metered model in its home country. According to the Guardian, this strategy change may be connected to the recent departure of a senior executive, TMG’s chief commercial officer Steve McLaughlin, who was in charge of these plans. 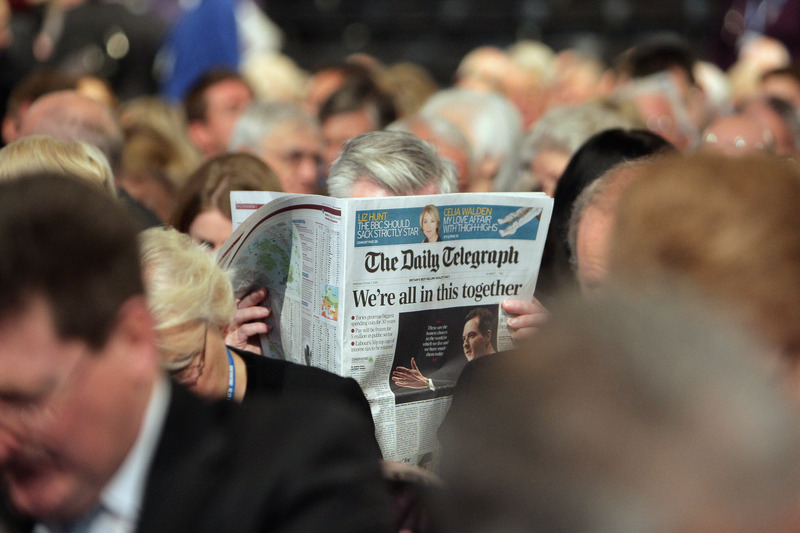 According to the Telegraph, readers outside of the UK represent a significant share of its digital audience. “The Telegraph has a strong international presence, with more than 50 million global unique visitors per month, with two-thirds of that audience from outside the UK,” it says. While the newspaper may not be as popular among non-UK readers as other media outlets such as the New York Times, it has already been targeting the British expat community with a specific section and dedicated features. Combined with the fact that access to the print edition is more difficult abroad, this may make them “heavier” readers, who could be more likely to hit the monthly limit.